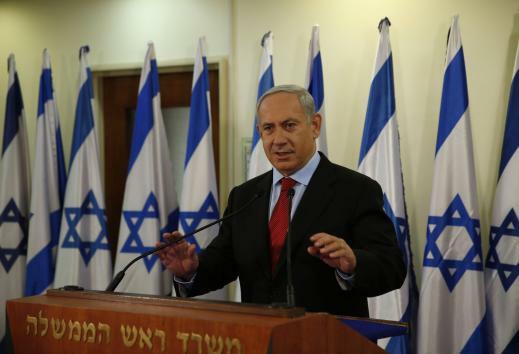 Prime Minister Benyamin Netanyahu may still be in office, but there is no question his right-wing bloc took a hammering in the parliamentary elections. Netanyahu and his conservative Likud Party just barely pulled away with a victory despite news media analysis that his party would win by a landslide. The Likud Party just barely snagged 31 seats in the 120-member Knesset. Yesh Atid made away with 19 seats, far more than what was predicted. Labor, the dominant party of the left, came in third with 15 seats. The results clearly demonstrate the polarization among Israeli voters and present an opportunity for the centrist Yesh Atid party to break into the political landscape that has been dominated by Netanyahu’s right-wing faction. Yesh Atid is led by Yair Lapid, a man who is no stranger to the camera. He is an ex-journalist, published author of seven books, talk show host and even had a brief stint as an amateur boxer. Unlike Netanyahu who emphasized on national security and the threat of Iran, Lapid’s priority was on issues that had a more direct effect on the people. This included issues regarding the rising cost of living, education reform and ending military service exemptions for ultra-Orthodox Jews. The election campaign focused primarily on the economy and social issues with very little discussion about Iran and foreign affairs. There have also been discussions regarding the occupation of the West Bank, which Netanyahu has been criticized for after ordering the construction of an additional 4,500 settler homes. The election results also mean that Netanyahu may have to compromise when it comes to Palestinian’s demand for statehood. The Yesh Atid party is in favor of a return to negotiations with Palestinian President Mahmoud Abbas over the West Bank. The new parliament is now virtually evenly split, which means there will certainly be heated discussions over issues like Iran and Israeli annexation of the West Bank.